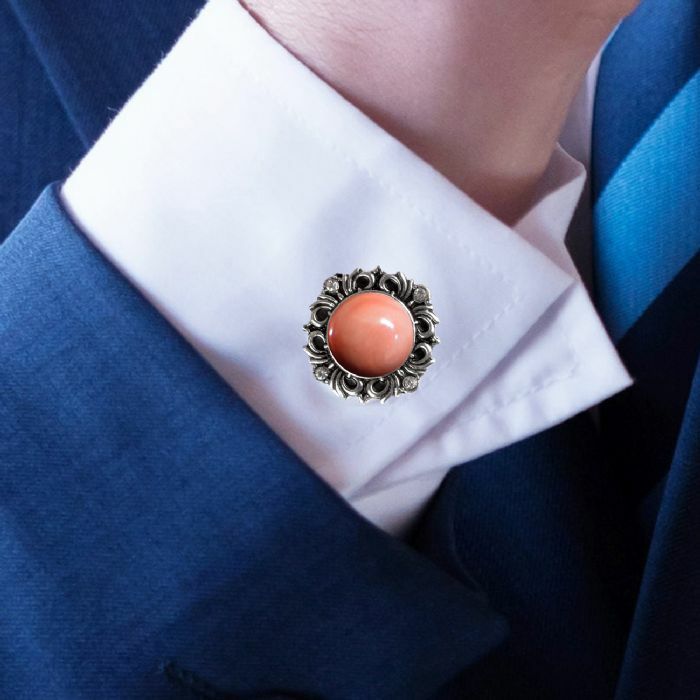 Men's Cufflinks With Pink Sea Coral Gem. Decorative Design Vintage Style Sterling silver. Decorative Design has been created in solid Sterling Silver Vintage style. Promotes creativity, passion, romantic love, wisdom, optimism and enthusiasm. Coral is a stone of organic origin. which is a stone of passion. Eye problems, and the respiratory system. ♥ Cuff Links Height of the rod 1.5mm or 0.6". ♥The radius of the Cuff Links 17 mm or 3/4". Sending wellness out to the world such a wonderful way.